Choosing the right glasses can sometimes cause a bit of a headache. They sit right on the middle of your face so of course you want to be sure you’re making the right choice. Not only do you want your eyewear to complement your look, but you want them to be suitable for your prescription and within your budget. Here’s what we look for to take the headache out of choosing the right glasses. Lots of guidelines for choosing the right glasses will try to help you find the right frames based solely on your face shape. The problem with this is that our faces come in all shapes and sizes, and there is no standard. Plus, not only do you want something to suit your face shape, but you also want something that suits your colouring and sense of style. However, it can be helpful to create a short list of frames based on the shape of your face, to help you get started. The basis for this is about achieving balance – round and oval faces often suit angular frames and square-ish and rectangular faces often suit a curved frame. At Louise Sloan Opticians, we also ensure your eyes are balanced within your frames, by looking at your face width, and the height of the bridge in relation to your brow. Each prescription needs to be applied to a frame so the weight and thickness of the lenses need to be considered. Lenses for those who are short-sighted are concave or thicker at the edges, and will get thicker the stronger the prescription required. Prescriptions for those who are long-sighted have lenses that are thickest centrally, and so these lenses can become bulbous with increasing power. However, purchasing high index lenses can help to make lenses thinner, which will increase your choice of frames and reduce the weight of the frame on your nose. If you’re wearing multifocal lenses, you will need some moderate depth to allow room for the different power lenses. 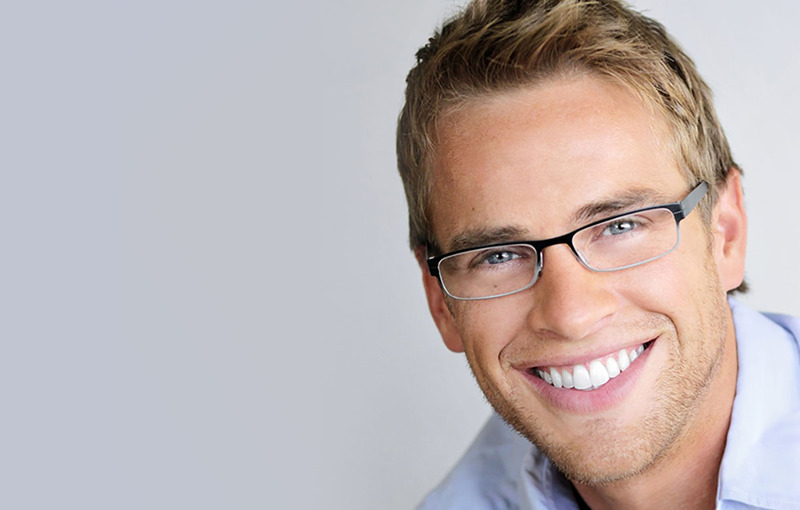 There are also a number of other considerations to make sure your glasses are tailor-made for you. Hypoallergenic materials such as titanium or plastic may be important for some, nickel is a common allergy for example. Anti-glare coatings will eliminate reflections from the front and back surfaces of your lenses, making them nearly invisible. They will also allow more light to pass through, creating fewer distractions, especially at night. High index lenses benefit the most from this coating, as thicker lenses will reflect more light. Transition or colour change lenses will rapidly adapt to light condition changes, helping to filter light and block UVA/UVB rays. A light weight frame may be more suitable if you’re going to be wearing them all day. And if you have a small nose, this can help to reduce slipping. Robust, full-rim glasses can be preferred if you are likely to be taking your glasses on and off frequently. And finally, larger glasses are beneficial for frequent drivers to prevent obstruction, whereas shallow frames are useful for readers to want to peer out over the top of their glasses. Finally, the actual fit is everything when choosing the right glasses! If a frame feels comfortable when you try it on the chances are it’ll be right for you. Final tweaks to the arms fitting around the ears and nose pads are sometimes necessary for a truly bespoke fitting. Our final piece of advice is to take your time. Something we make a priority at Louise Sloan Opticians is to give our customers as much time as they need. This ensures you not only get the glasses you need, but also the glasses you want. If you’d like to ask any questions about choosing the right glasses, please don’t hesitate to get in touch. You can find all of our contact details here.